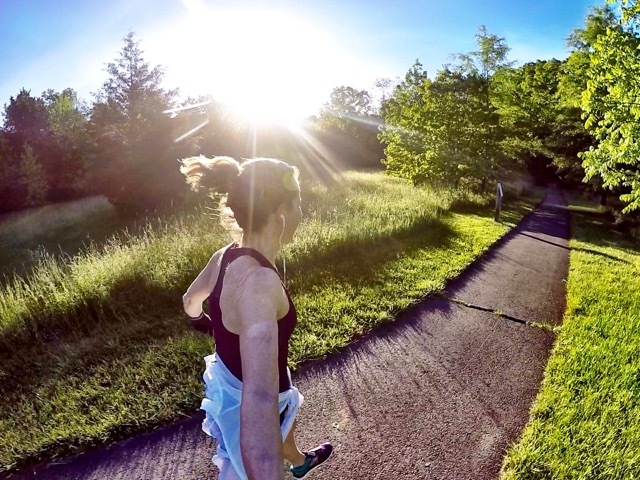 A couple of weeks ago I was contacted by Sarah Klein, a reporter with Prevention Magazine, who was writing an article about how to get started running after the age of forty. Since I am a running coach and had treated myself to running my first marathon for my fortieth birthday, she wondered if I would be willing to be interviewed. 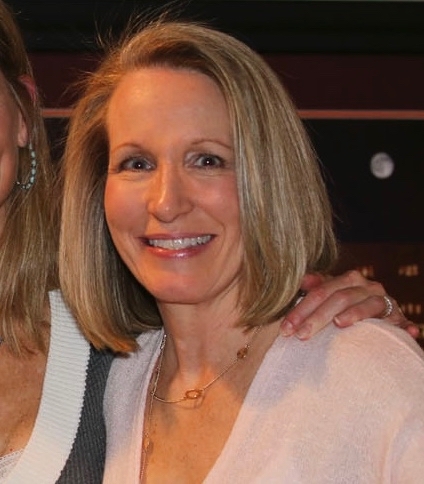 We set up a time to chat, and this past Friday she notified me that her article, If You’re Over Forty And About To Start Running For The First Time, Here Are Eight Things You Need To Know, had been published. I hope you enjoy it! Last week was quite a blur and if it weren’t for pictures and my Runner’s World training log, I’m not so sure I would remember any of the specifics. I was happy with both of my weekday runs as my pace seems to sloooowly be getting a tad faster. I’m still a minute per mile slower than during my pre-injury January runs, but all things considered, I shouldn’t complain. Being outside did give me plenty of time to find some interesting things – like this cicada. This must be the thirteen-year variety because I distinctly remember them being so loud the year after we moved into our current house. 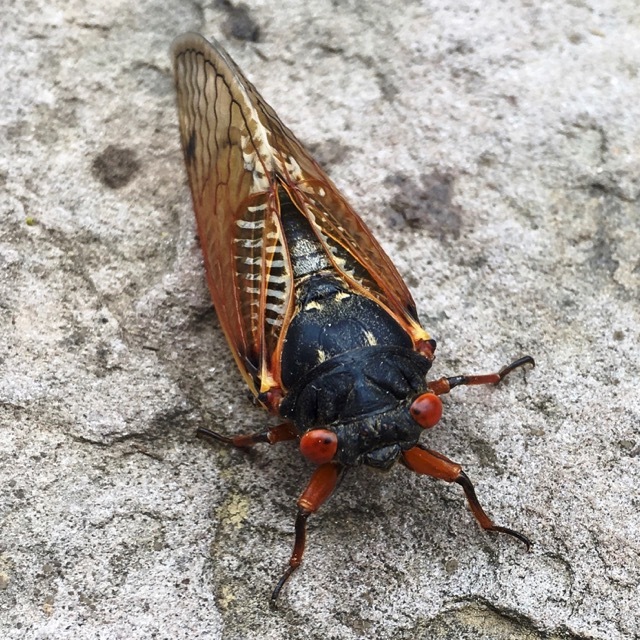 While cutting the grass that summer, I could hear the cicadas over the sound of my very loud lawn mower. 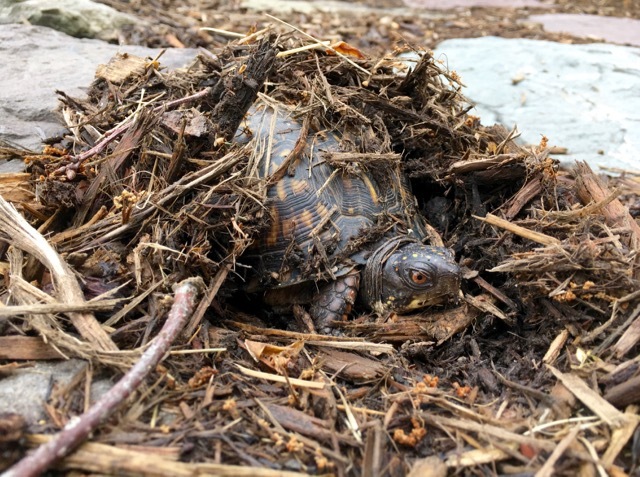 And burrowed in the mulch… I suspect he’s a she, and she was ready to lay eggs. With the predator keeping a close eye on my back yard all morning, Mrs. Turtle had better bury her eggs very deeply into the ground. 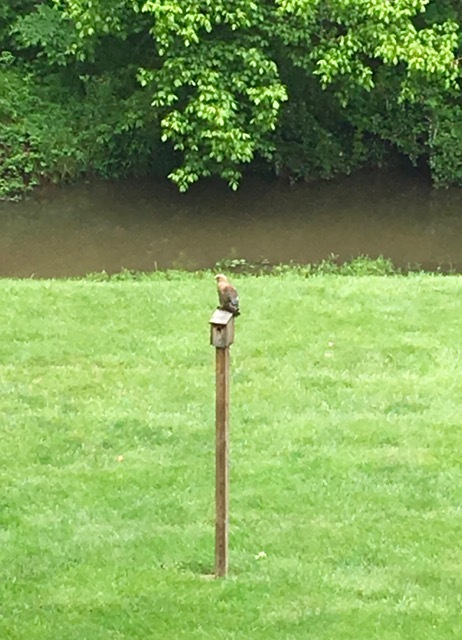 Just for the record, I am not very happy that the red-shouldered hawk has chosen our bluebird’s house as his surveying post. I’m nervous that the baby ducklings have hatched and he’s keeping a close eye on the creek for them. Looking forward to this week, I have a fun little post I’ve been promising for the past couple of years. I actually started it last week by taking pictures for the post and I hope to have it up later this week, perhaps on Wednesday. Stay tuned! 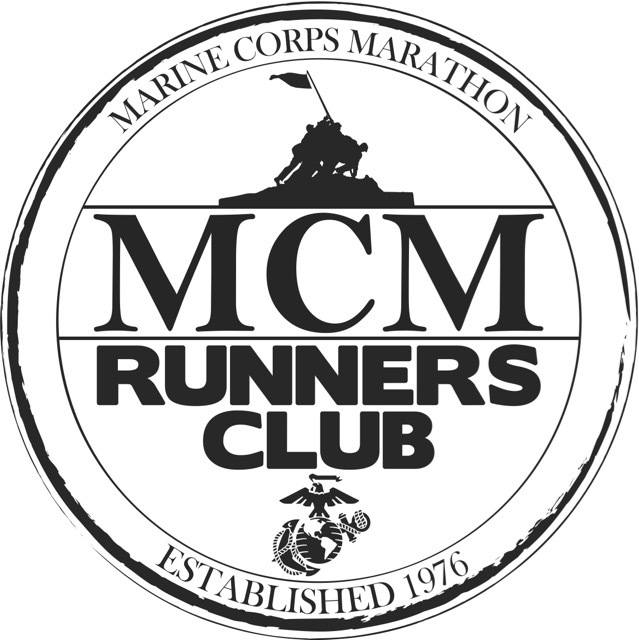 Also, time permitting, Friday I’ll be joining Marcia at Marcia’s Healthy Slice for her monthly Runfessions linkup. When a lack of time causes you to skimp on your workouts, what’s the first to go? Congrats on the published piece – thats so awesome! You almost have a small petting zoo! I like gardening, but have a tough time getting things done in a timely fashion. I had a ton of day lilies that need dividing and transplanting…and now that I finally have a little time, they are monsters and impossible to do anything with now ;-( Maybe next spring…..
That is beyond awesome that you were interviewed for that piece. How fun! Also I didn’t realize you ran your first marathon at age 40. 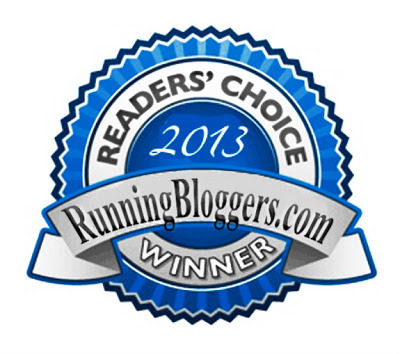 Fairytales and fitness recently posted…Run Wild and Free! I had only run 10K’s and shorter prior to my first marathon two weeks before my 40th birthday. Runner’s World Training logs are the best! The bugs and worms don’t bother me, but I do wear gloves when I work in my gardens. Congrats on the interview! Hawks can definitely be scary. My dogs are small enough to be prey (although probably not Bandit — he’s all muscle). It’s so hard to keep all those exercise balls in the air. Something always seems to have to give. Judy @ Chocolaterunsjudy recently posted…But does she win money? Our friend tells a story about how a hawk kept swooping by his pup who happened to be on a leash. Apparently the hawk wasn’t put off by my friend being at the other end of the leash. I want to get into gardening! We just purchased a house on a large lot and I have so many ideas! It needs a LOT of cleaning up, but we’re looking forward to making it wonderful. 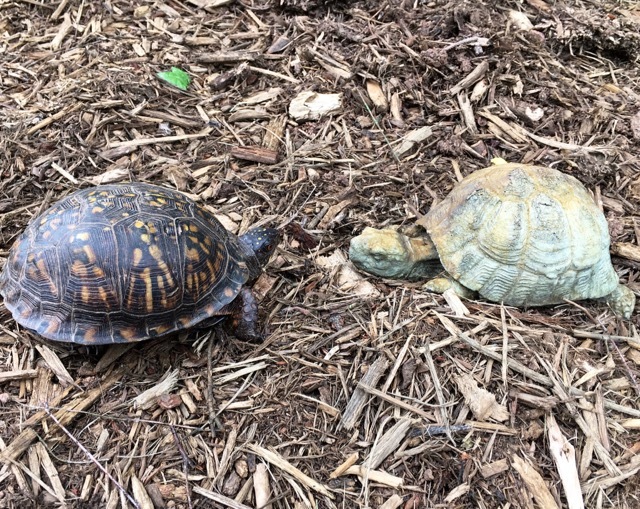 I have not seen a turtle, but so far we’ve had squirrels, rabbits, groundhogs, and possibly a fox – it ran through the yard too quickly to tell! Sadly, strength training and yoga/stretching are the first things to go when time gets short! Wow! How cool to have so much nature right in your backyard! I’m heading over right now to read your article on Prevention magazine….how cool! Holy Moly!!! How exciting!! Can’t wait to read the article fully!! Look at all those critters!! Go away hawk!!! Save the babies! I love your workout Pictograph!! good job getting your workouts in! Thanks, Tamieka! I hope you enjoyed the article.